It’s dry and dusty and a glorious deep blue endless sky greets us as we emerge from the Daydream Silver Mine Tour. Most of the group shuffle off to their cars, not realising that they are doing themselves a disservice by leaving too soon. At the turn off to the mine there’s a big sign announcing ‘fresh scones’. If you are passing by and see it, I really recommend you take the detour even though a tour of the mine is not on your agenda. The scones are absolutely incredible. My partner, a true blue bloke, is not a scone eater, something about nasty recollections from boarding school. They impressed him so much that they have become his benchmark of what a scone should be like, and he compares all scones that he tries to the Daydream Mine ones. The Tearoom/ticket office/shop is in an old timber shack with a shady verandah. Simple – one type of tea for all -served in blue enamel camping mugs, somehow works. Must be the outback? The scones are divine. Piping hot, creamy, delicate even. The lady serving us says it’s the ice-cold water they use in the recipe that makes them so special. You can even buy the recipe they are so popular! Tea: Straight up black billy tea. 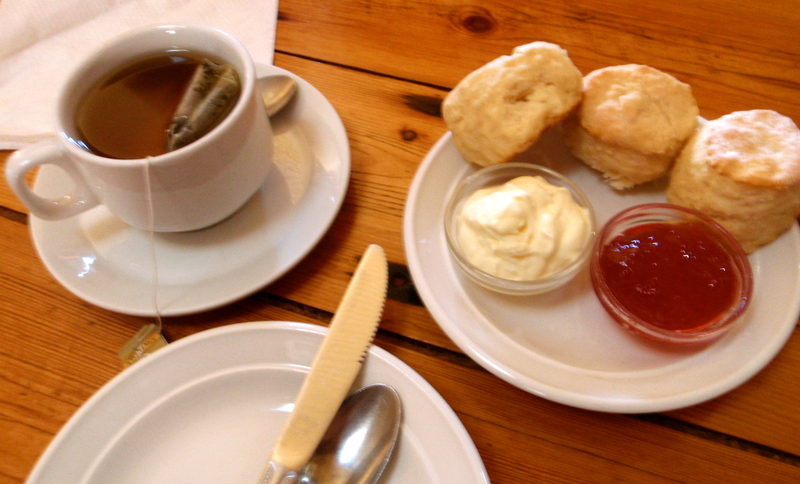 Overall: Authentic and the best scones in the west! Go! 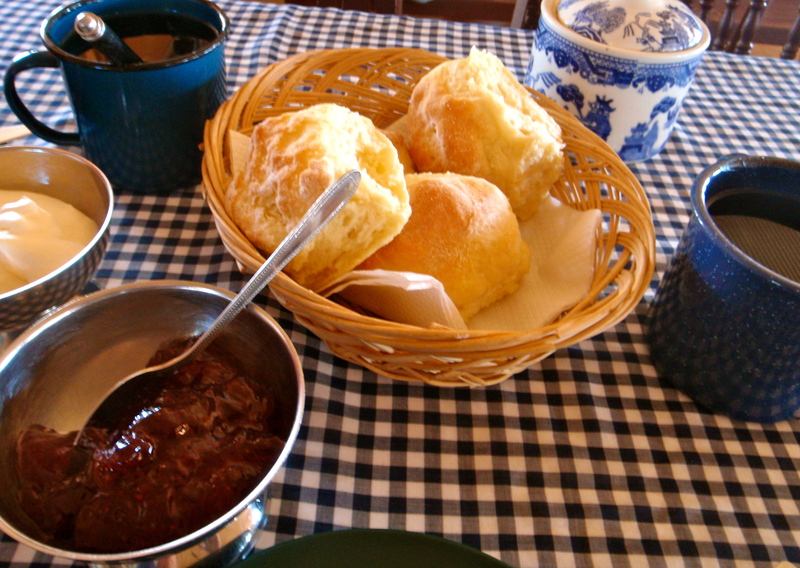 After devouring scones down the road at Daydream Mine, these were a bit of a let down. The cafe is worth a stop though as its in a uniquely preserved stone miners cottage from the late 1800’s and a pleasant respite from the dust and flies if your are wandering around town. The three small scones are okay but served with only a small amount of jam and cream – but at least the cream is freshly whipped. Have a poke around the antique bottle and doll collection while you’re waiting. Tea: A teabag in a cup of hot water with some herbal varieties. Overall: Superb town but nothing special at this Devonshire Tea.